Are the Federal Courts Trampling the First Amendment in the Bundy Cases? | RANGEfire! Are the Federal Courts Trampling the First Amendment in the Bundy Cases? 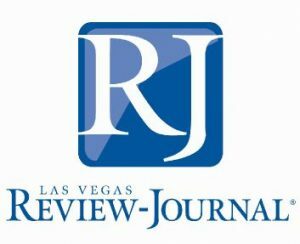 Maggie McLetchie, the lawyer representing the Las Vegas Review-Journal and other news media filed court papers Monday accusing the government of trying to “stifle” free speech in the criminal case stemming from the Bunkerville standoff, according to Jeff German, writing for the Las Vegas Review-Journal. McLetchie argues that the government’s biggest fear in keeping its evidence confidential is public criticism. The filings are part of an effort to overturn a federal judge’s protective order withholding the bulk of the government’s evidence from the public in the high-profile case. 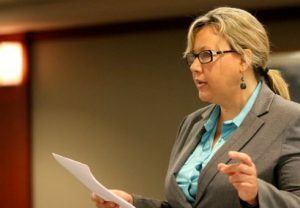 Attorney Maggie McLetchie — who represents the Review-Journal, Battle Born Media and The Associated Press — previously has lodged objections to the protective order signed last month by U.S. Magistrate Judge Peggy Leen, calling it too broad and a blow to transparency. The order prohibits defense teams for all 17 defendants from publicly disclosing grand jury transcripts, FBI and police reports, witness statements and other documents the government collected during its investigation into the April 2014 armed standoff between Bundy family forces and law enforcement. Leen issued the order without a public hearing and in the face of opposition by most of the defendants, including Bunkerville rancher Cliven Bundy and his four sons, and the news organizations represented by McLetchie. Federal prosecutors filed court papers last week supporting Leen’s decision, arguing she followed proper legal standards. B ut in court papers Monday, McLetchie argued that the government’s biggest fear in keeping its evidence confidential is public criticism. “Mere dislike of speech critical of the government can never constitute good cause,” McLetchie wrote. The 17 defendants are charged with conspiring to assault Bureau of Land Management agents on April 12, 2014, and take back impounded Bundy cattle that had been grazing on federal land. They are to stand trial Feb. 6 before Chief U.S. District Judge Gloria Navarro.